ABOVE: A New England coastal home reflects a love of Eastern architecture with this Asian inspired teahouse overlooking Narragansett Bay, Rhode Island. 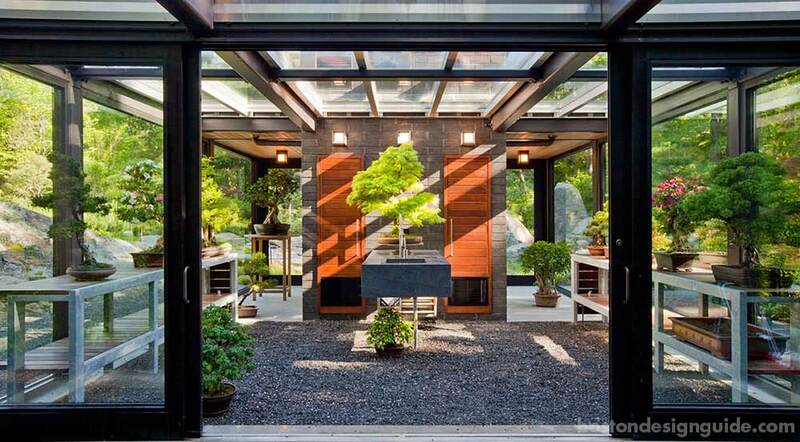 A 700-square-foot modern conservatory houses a private collection for a bonsai enthusiast. 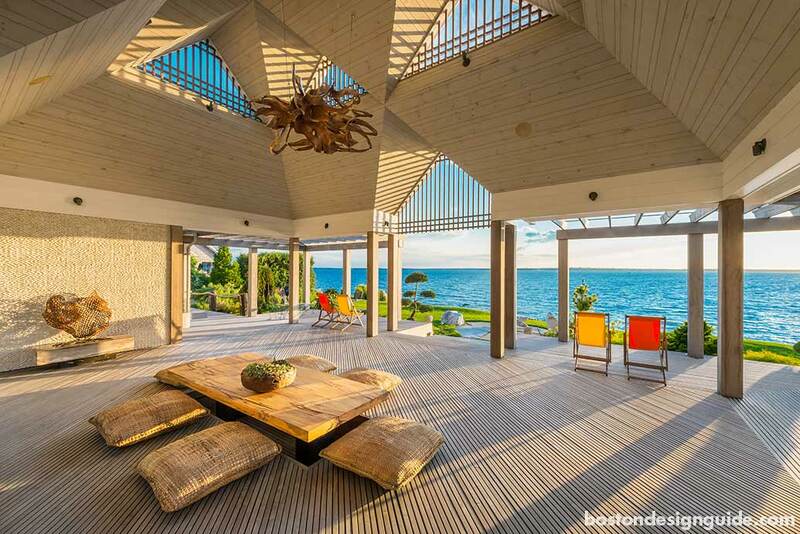 It includes a comfortable seating area to take a break and enjoy 360-degree views. 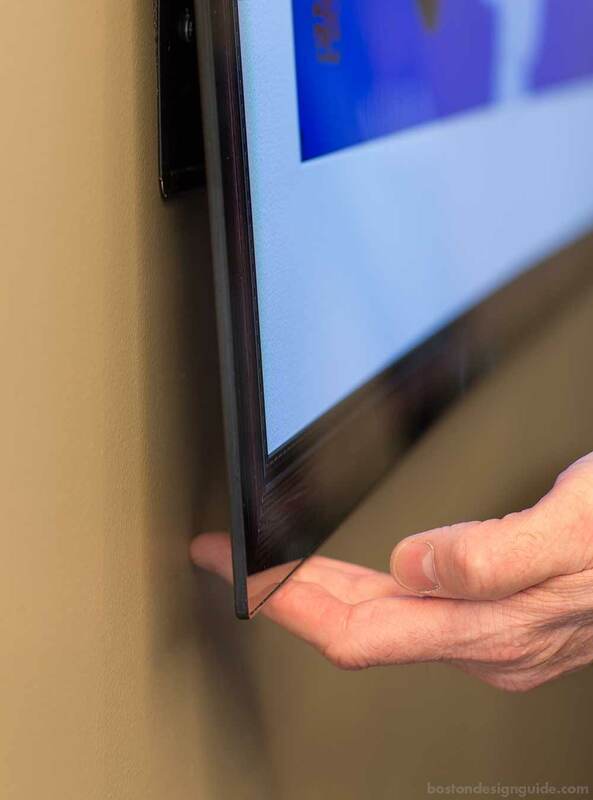 Landscape Architecture by ZEN Associates, Inc.
Ultra thin televisions that take no more space than a picture frame on your wall. 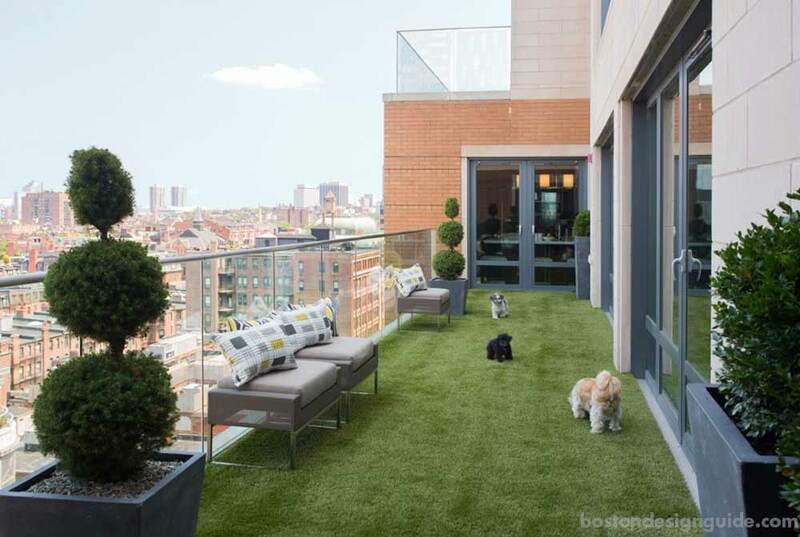 A puppy playland easily transitions these furry friends to city life on a luxurious rooftop deck with state-of-the-art turf. An extendable glass dining table by Naos Quasar automatically expands and inserts a center leaf at the push of a button. 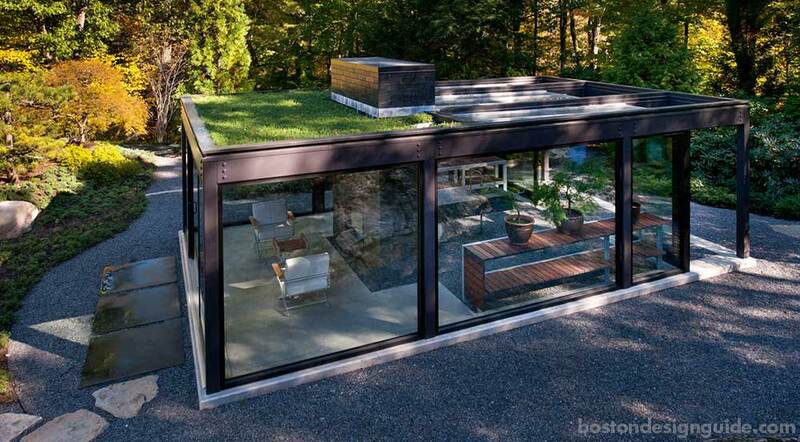 Homeowners can admire the mechanism as it moves thanks to its transparent top. 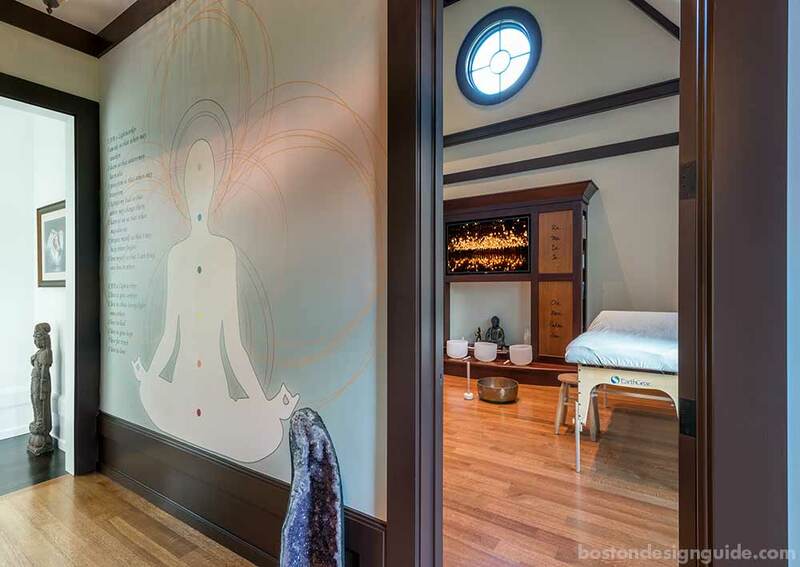 A spiritual room is incorporated for the owner to practice Reiki and meditation in her very own home. 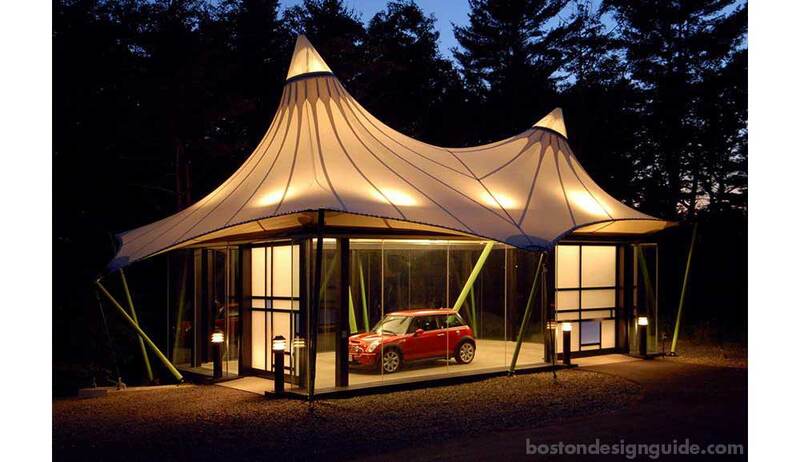 Set on a hilltop, this modern garage functions as a working sculpture beneath a trapezoidal canopy. See the Digital Edition here.